A view from the far north of Islay, you can’t go much further north. 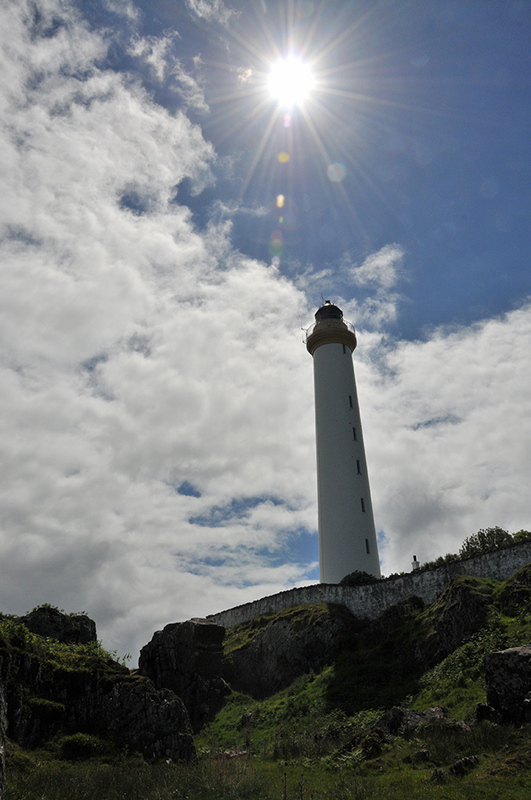 Looking up Rhuvaal lighthouse with the bright June sun right above. My sister and I had walked up from Bunnahabhain and passed below the lighthouse on our way to Bàgh an Dà Dhoruis. A great view of this beautiful lighthouse in one of the remotest parts of Islay. This entry was posted in Cloudy Weather, Landscape, Lighthouses, New Post, Sunny Weather and tagged Islay, Rhuvaal by Armin Grewe. Bookmark the permalink.